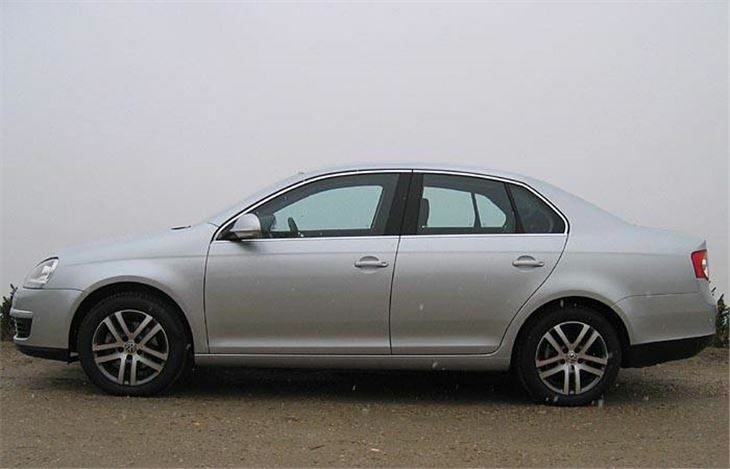 Traders used to say that that the only good Jetta was a sold Jetta. That made them cheap, and I have the dubious distinction of not only having owned two Atlas Grey Jettas, but of having owned them both at the same time. 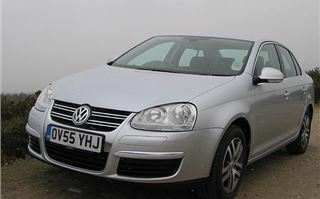 One was a ‘GT’, described by ‘Car’ magazine as “a Golf GTI with a rucksack”. We seemed to have it forever. Eventually I advertised it on my website for £150 or “free to a man of the cloth”, and it reverently soldiered on in the hands of a West Country vicar. 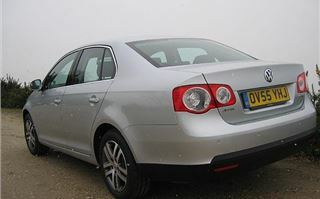 My other Jetta was a 16v, which, in Autocar’s capable hands, had actually proved to be slightly faster than the Golf 16v hatchback. 0 – 60 was just over 7 seconds, in second gear. Those old Jettas were quite raw cars. They just looked so dull that no one in a policeman’s uniform ever even noticed their existence. I remember tagging a BMW 535i across Oxfordshire at 120mph. In fairness I’d better point out that the BMW was slightly handicapped by a stepladder on its roof rack. The case would never have got to court anyway because no one would have believed it. An invisible Volkswagen and a 120mph window cleaner. Now Jeremy Clarkson has given the new Jetta his kiss of death in The Sunday Times. He could not find a single feature to redeem it, likening the prospect of a forthcoming return journey to “spending an hour in a coma”. To the great man’s credit he desisted from ever mentioning the name of the new Jetta’s predecessor. Actually, the Americans for whom the Jetta is built, never got a Bora. Or even a Vento. To them the new Jetta is simply the fifth incarnation of VW’s Golf with a trunk, now built for them and everyone else who wants one in Mexico. 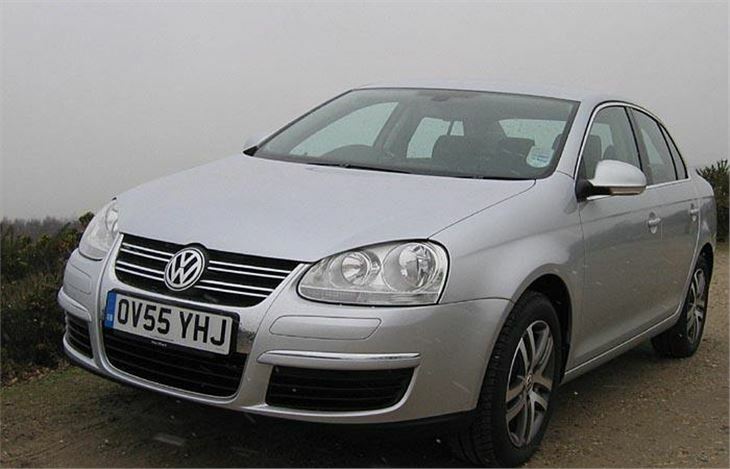 JC questioned why anyone would ever want a Jetta rather than a Golf or a Passat. The answer is why Jettas, Ventos and Boras have always sold well in Europe. 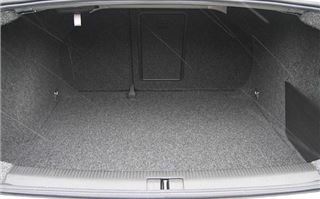 You can fit an LPG or CNG tank in the trunk while still leaving plenty of room for luggage. Luckily I didn’t get the same car as JC. Instead of a 150PS petrol engine and a Tiptronic autobox, mine came with VAG’s 140PS TDI and six-speed manual. It arrived in the middle of a snowstorm, happily on ‘comfort’ tyres (Michelin Energy 205/55 R16s). Once I got the seat sorted the car felt as familiar as a pair of old boat shoes. With the weather forecaster promising white-out I thought I better get the snaps done as soon as possible so took it a favourite horizon. On the way I found out it’s geared about the same as my long-term 307 and C-Max but the PD injectors allow a lot more flexibility. You can get right down to 40mph in 6th at just over 1,000rpm and still pull away cleanly, whereas the 307 and C-Max aren’t very happy below 55mph in 6th. 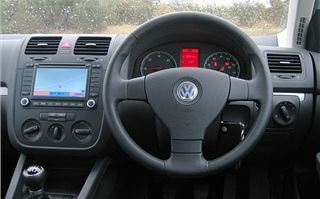 And it had none of the all-or-nothing turbo surge I have sometimes experienced from VAG’s 2.0 litre PD 140. Big C does have a point about the doom and gloom dashboard. It’s so unrelentingly black you feel like you’re driving a coal face. Not as bad as Jettas used to be, though. One of mine even had a black headlining. On the other hand, the central console has so many places to put things even a pickpocket would be pushed to fill it up with the day’s takings. Oddly, it also has a pair of handles. Not quite sure what they’re for. VW seems to insist on side-bolstered seats these days that serve little purpose other than to wear out and make it hard to get into the car. 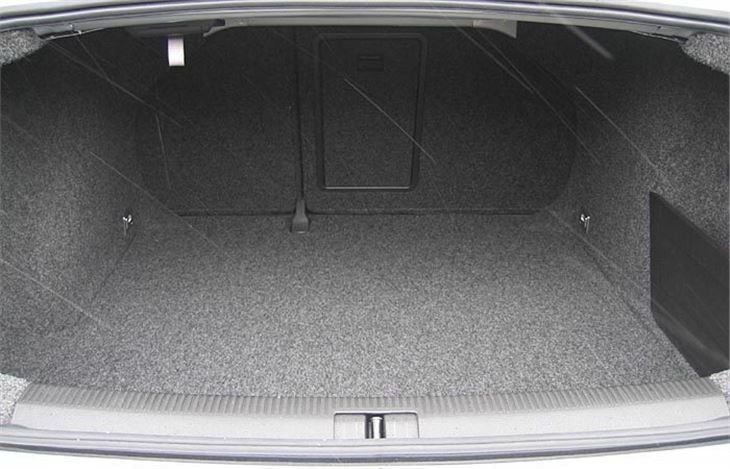 However, the rear seat will take three 5’ 9” adults as long as they haven’t been eating too many pizzas. And unlike the Lexus IS250, piggy in the middle does not have to sit with his head directly under the interior light. Steering is very light on those Michelin Energy 205/55 R16s. Handling is okay but this is not a car that encourages you to hustle it. 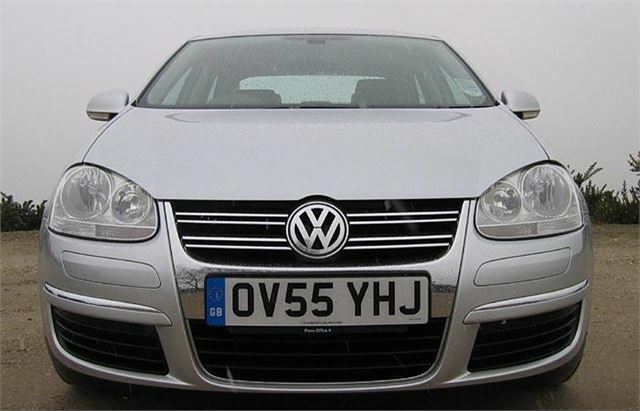 At normal cruising speeds it’s quiet and doesn’t chuck muck all over its backside like a Golf does. 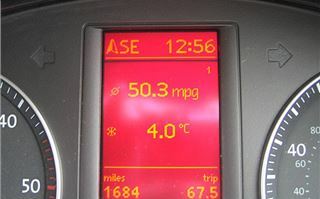 And it must be more aerodynamic than a Golf because I found it extremely easy to average over 50mpg, which is a lot better than the EC combined figure. 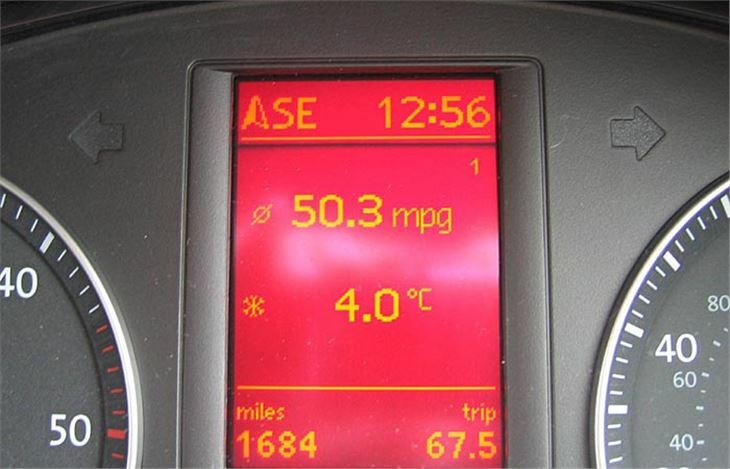 That means drivers with more time on their hands should regularly get a real world 55mpg plus. 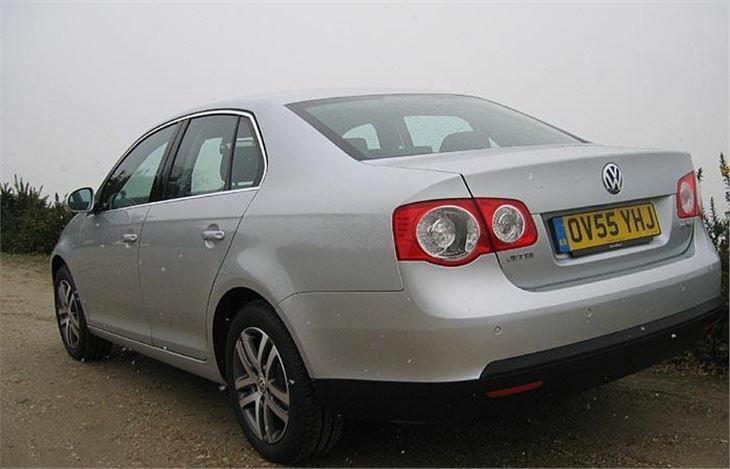 Making the Jetta 2.0 TDI probably the most economical 2.0 litre diesel you can buy. As well as the one with the biggest boot.